Bring in Interim Help or Outsource Your Needs? Outsourcing or bringing in interim help, that is the question for many business owners! Once you have a clear understanding of the advantages and drawbacks associated with each option, only then can you make an informed decision. Also known as temporary or temp work, interim help is a short-term employment option that businesses of all kinds use. Is hiring interim employees’ right for your business? 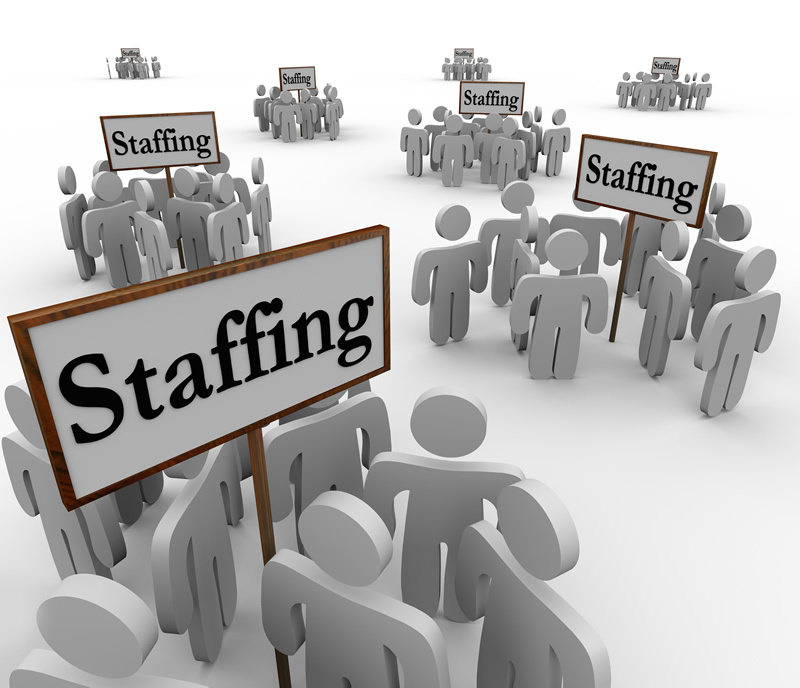 Eliminate Recruitment – By using an interim staffing agency, you can find an interim worker quickly. This eliminates the time and money it takes to advertise and recruit short-term employees. Last-Minute Assistance – Most interim agencies have interim workers on standby, which means you can get help up to the last minute. Pre-Screened Assurance – When choosing an interim worker through an agency, you can rest assured that the employee is pre-screened and able to complete the job tasks you require. Consultation – As mentioned in the article, “Insourcing”: Interim Staff as an Alternative to Outsourcing RCM“, many interim staffing agencies provide consultation to ensure your short-term employment expectations are met. Higher Wages – Because interim workers are in high demand, their hourly wages are usually higher than standard employee wages. Learning Curve – As with any new employee, interim workers have to get over a learning curve as well. Using an agency with consultation services can help you avoid the learning curve by finding an employee who is already experienced in your line of work. Short-Term Solution – Although interim workers are helpful in the moment, they are by no means a long-term solution. This makes finding short-term help an ongoing process. Now that you have a better understanding of the interim process, it’s time to consider the pros and cons associated with outsourcing. Many companies turn to outsourced help to get the job done, but that doesn’t necessarily mean it is right for your business. Availability – Depending on the type of project, outsourced workers are readily available. This is especially the case if the work involved can be completed remotely, such as graphic design and website building. Affordability – The outsourcing industry is massive and growing every day. This means outsourcing costs are low due to heavy competition. Ease of Scheduling – When your business works with an outsourcing agency, it’s a breeze to schedule different workers on different projects. This allows your business to take care of multiple tasks using one agency. Focus Issues – Relying on outsourced workers to understand the full scope of a project is difficult, which leads to focus issues. Delays – With the popularity of outsourcing, many businesses are turning to outsourced workers. When outsource agencies are swamped, it usually leads to completion delays. No Pre-Screening or Consultation – With outsourcing; there is oftentimes no pre-screening or consultation services available. Before your business moves ahead with temporary help, first consider the pros and cons above. About the Author: Adam Groff is a freelance writer and creator of content. He writes on a variety of topics including employment and recruiting.